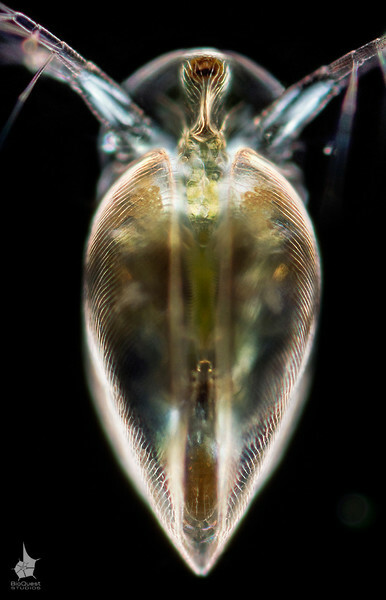 Simocephalus vetulus, a water flea. 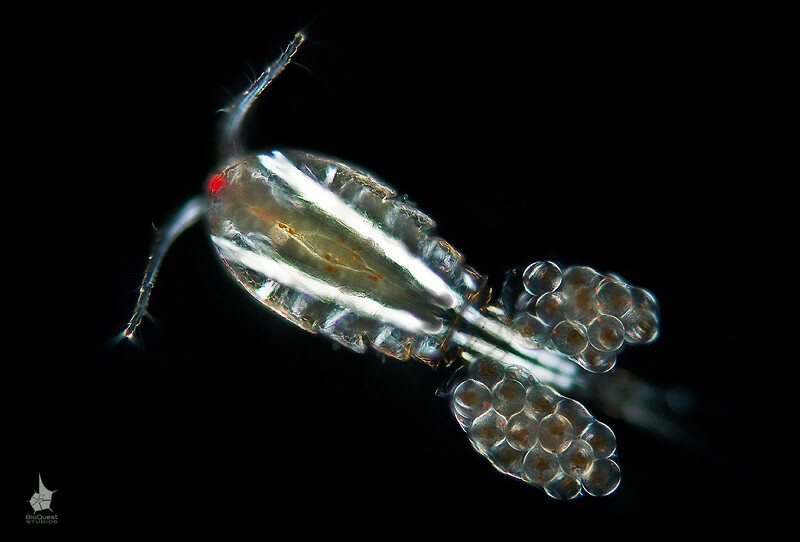 The size of the animal is about 0.7 mm. 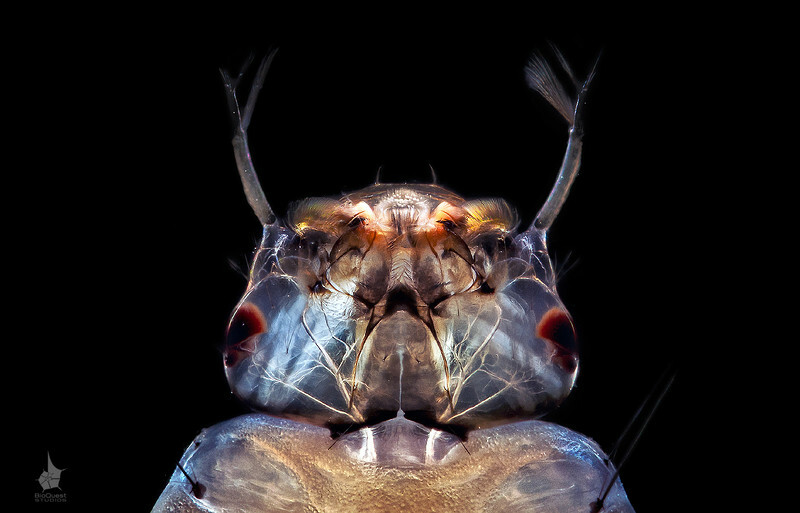 A number of muscles in the antennae and the abdomen are rendered as bright white bands due to the polarized light illumination. 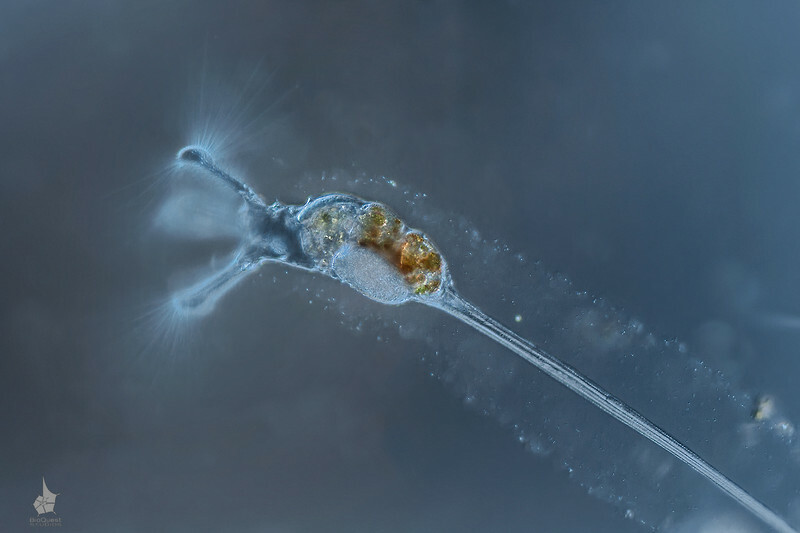 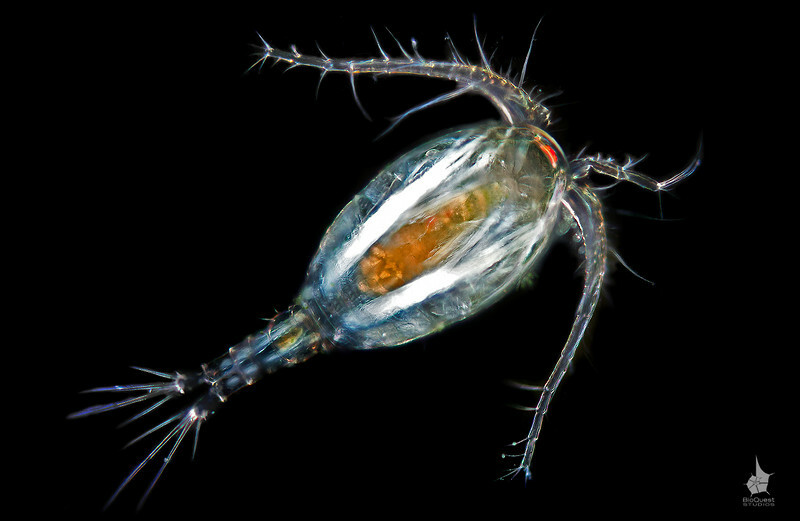 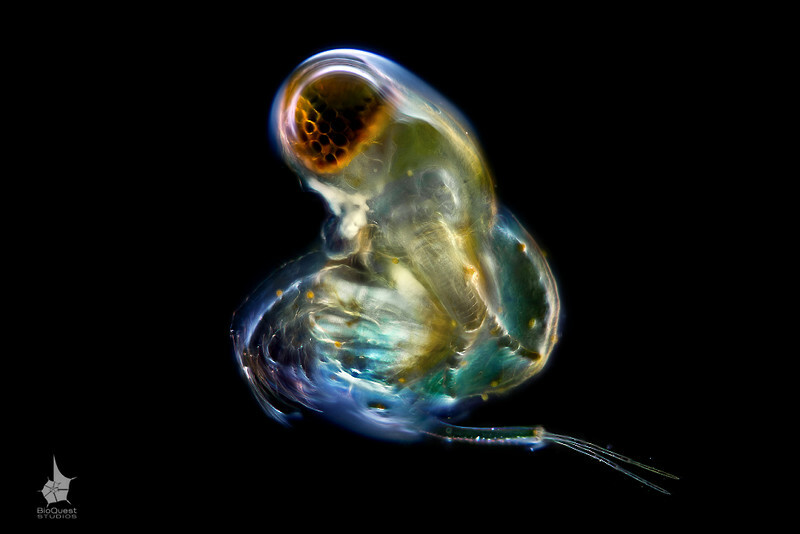 These crustaceans are abundant in ponds and swim using their antennae. 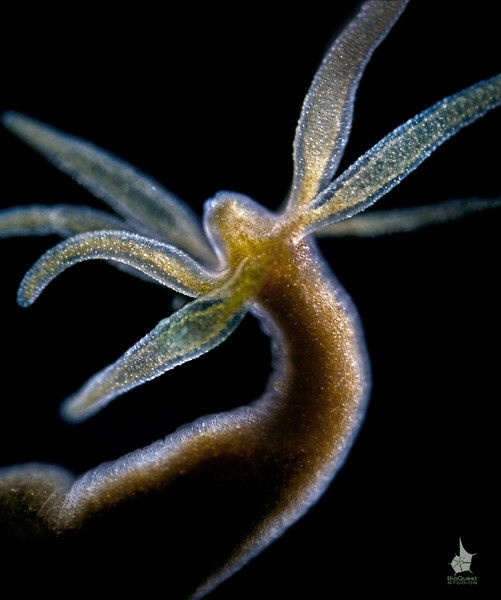 They usually fall prey to fish and hydras. 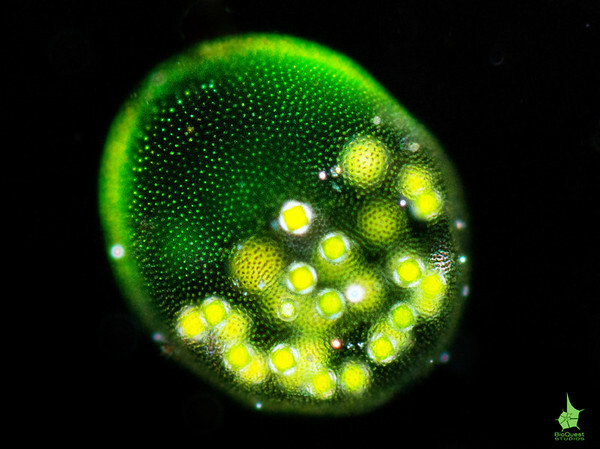 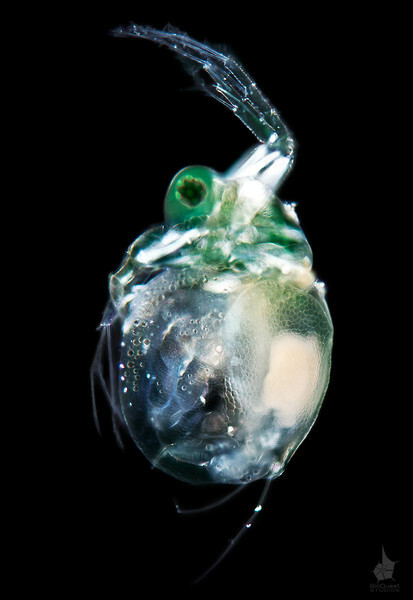 Most people remember only daphnias from their biology classes. 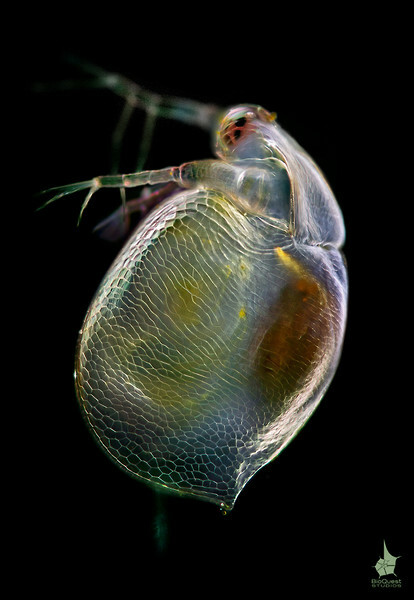 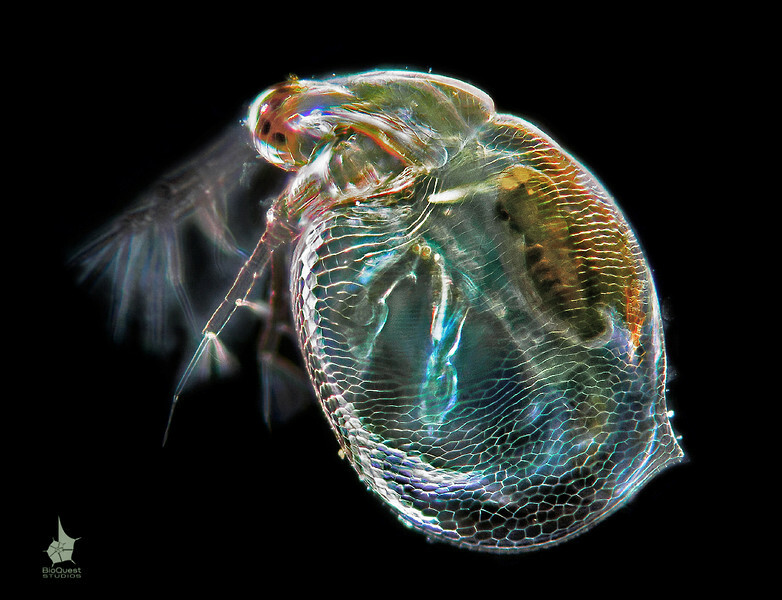 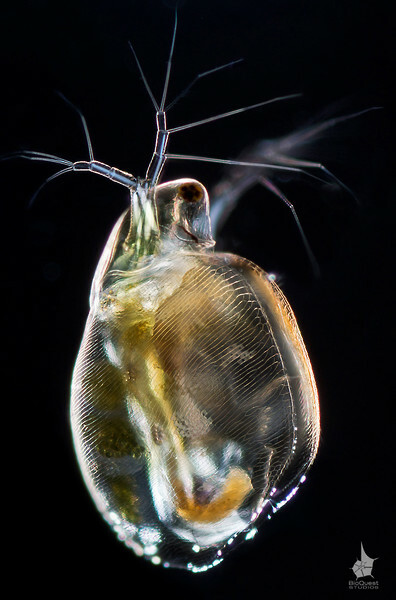 However, water fleas are diverse and Daphnia is just one genus. 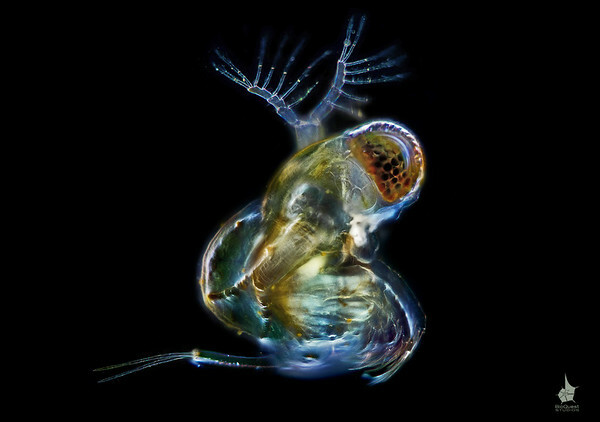 The image resolution is hight. 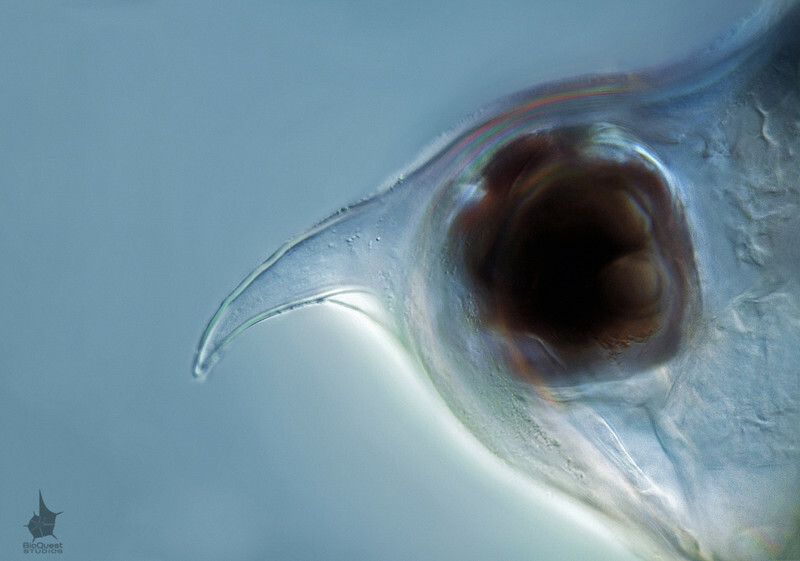 The height is about 8000px.